Wester Digital is the world’s most well known and No 1 brand for External Hard disks . 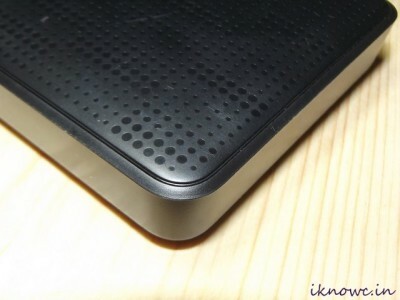 Today we are going to review WD My Passort 1TB External Hard Disk . WD is world’s No one Brand for Hard Disks manufacturing . WD products are reliable , durable and specially robustly built . The My passport External Hard Drive comes with bunch of features that makes it peoples first choice . The device is available in in 500GB , 1TB and 2TB as well . Hope You know that 1GB = 1024MB and 1TB = 1024GB . The device is available in white ,black , blue , silver and red color . But the one that we have is Black . 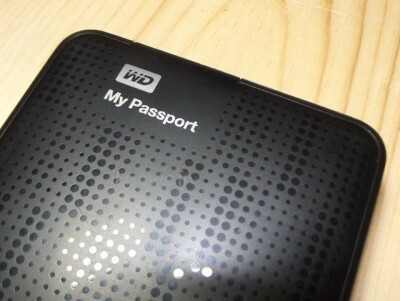 The Western Digital My passport 1TB hard disk has very premium look . It is light in weight . The Passport hard drive is robust and you can make it more by adding a Rugged case . The top of the My passport has glossary finish and it is bit rubbished at the back , which we like a lot . The WD My passport portable External hard drive supports USB 2.0 and 3.0 as well . In our test it we found peak transfer rate of 39MB/sec with USB 2.o and about more than 59MB/sec with USB 3.0 . 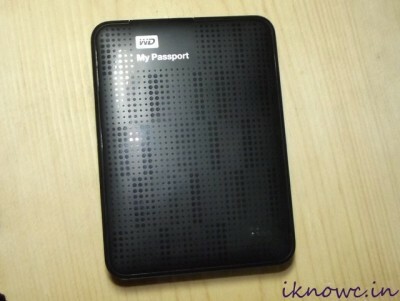 WD My passport is very light in weight and its size is very compact . The Hard disk should be at a stable place while working but you love to hold it because of its compact design and light weight . We have tested the transfer rates on the device . The transfer rates are very good even with USB 2.0 connectivity and super with USB 3.0 connectivity . To make the My Passport more approachable , it comes with bunch of software that helps to perform automatic backup and much more . WD security and Smart ware are very much usable . If you accidently deleted your files Smartware can bring your lost files . You can purchase it at price of RS 5000 in the market place or from online retailers . Overall , WD My passport is the best portable device that you can buy at this price with such a nice built quality .